Eileen was in elementary school when she was matched with Big Sister Stacy. Moving from elementary school to middle school was “a really big step” for Eileen, and Stacy was there as a consistent role model and supporter during the transition. For Eileen, having Stacy in her life helped open her eyes to all that was possible for her. “My mom is a single mom. Her highest education was a GED. I’m a first-generation student and it’s different having Bigs here in America that can serve as role models of what is really possible,” she noted. 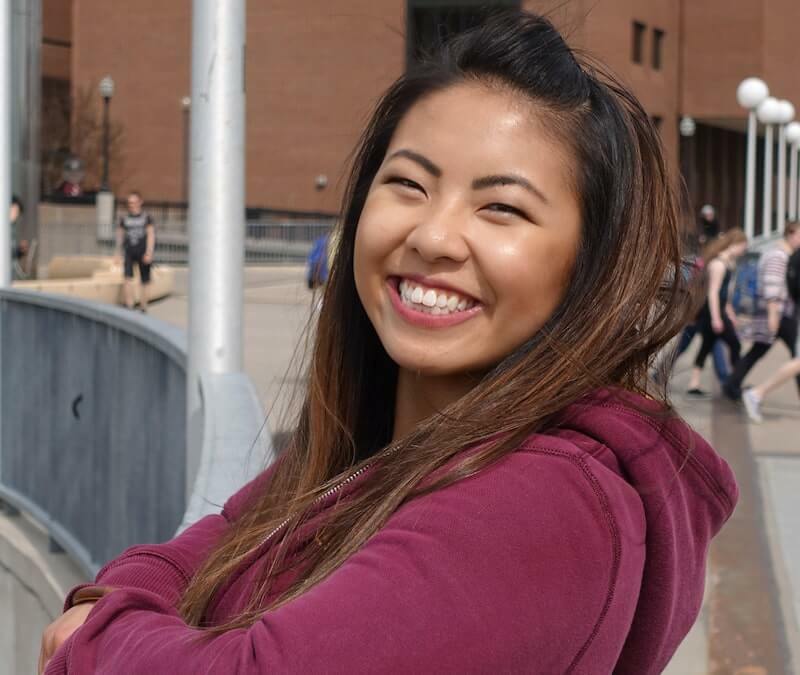 After attending Big Brothers Big Sisters workshops with Stacy where she learned about the college application process, scholarships, and even how to write a terrific essay, Eileen settled on the University of Minnesota. She’s currently pursuing a B.S. in health and wellness, and has exciting plans lined up for the future. “This summer I’ll be studying abroad in India where I’ll be studying with Tibetan monks and his holiness the Dali Lama. Following this trip, I’ll be going through emergency medical technician training, so I’ll be becoming a paramedic and working as a personal care attendant as well and gaining direct personal care experience for physician’s assistant school,” Eileen said.